Jon Johnson Photo/Gila Herald: Dahlia Johnson, 2, and Blade Johnson, 5, check out their booty at the second annual town of Pima Easter Extravaganza. 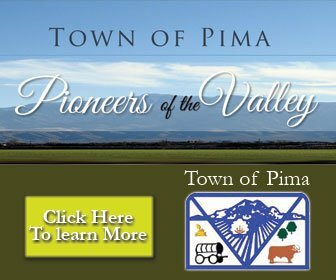 PIMA – With about 8,200 Easter eggs, a coloring contest, arts and crafts, prizes, the Easter Bunny and a rodeo, the second annual town of Pima Easter Extravaganza has lifted itself to become the premier Easter event of the season. 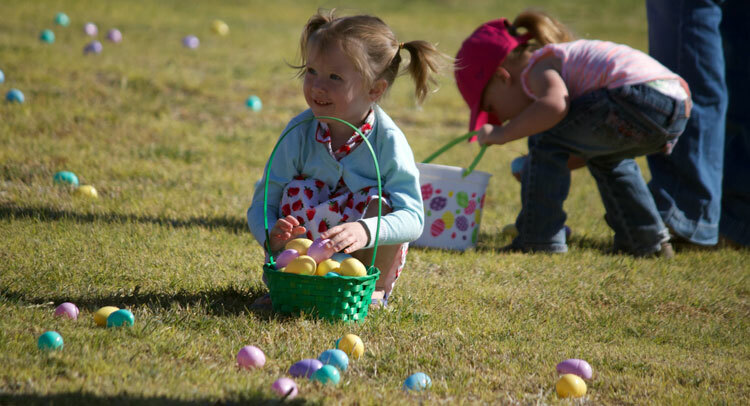 Jon Johnson Photo/Gila Herald: Ruby Payne, 2, shows off her basket of Easter eggs. 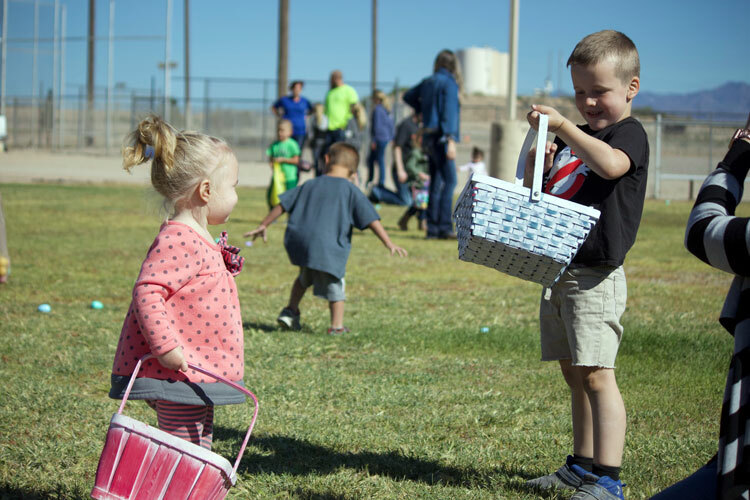 The mad dash for the candy-, toy-, cash- and prize-filled Easter Eggs was lessened this year by splitting the children into three age groups, newborn to 4-years-old, 5 – 9, and 10 – 12. With so many eggs compared to the number of children, everyone took home full baskets and bags of eggs and most had prizes too. Ashlee Tucker said her favorite part was having her children see the Easter Bunny and get a picture, but the hunt itself was worth the trip. 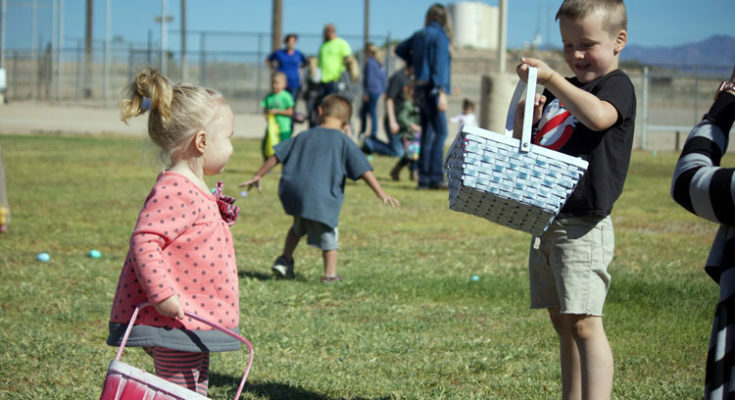 Organizer Sherrill Teeter of the Pima Town Council said the extra split in age groups allowed for younger children to collect more eggs. 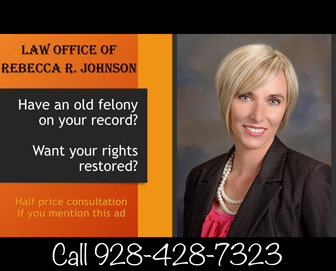 Jon Johnson Photo/Gila Herald: Pima Mayor C.B. Fletcher cleans up with a grin after the egg hunt. 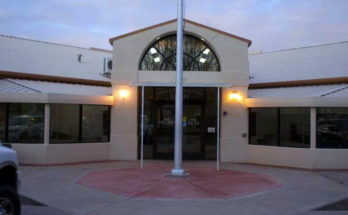 “This year we actually did a little bit better because the little kids took about six to seven minutes rather than just three last year,” Teeter said. 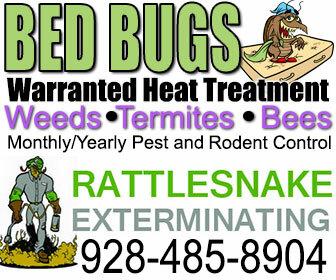 “Last year, the big kids did it in just 60 seconds flat, so that’s why we spread them out a little bit. While most of the eggs were pre-filled with toys or candy, but Teeter and others stuffed special prize notices in about 200 eggs. Those with a prize egg got to pick their own prize from a table of goodies, and there was a grand prize for each age group: a Big Wheel for the youngest, a bicycle for the middle age group, and $20 in cash for the oldest. 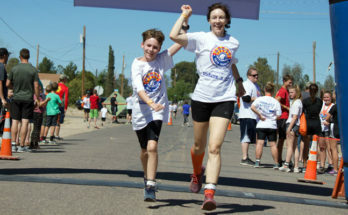 Ariana Kempton, 11, of Pima, won the grand prize in the eldest age group. She said running after the eggs against her peers was her favorite part of the event. “It was really fun,” she said. 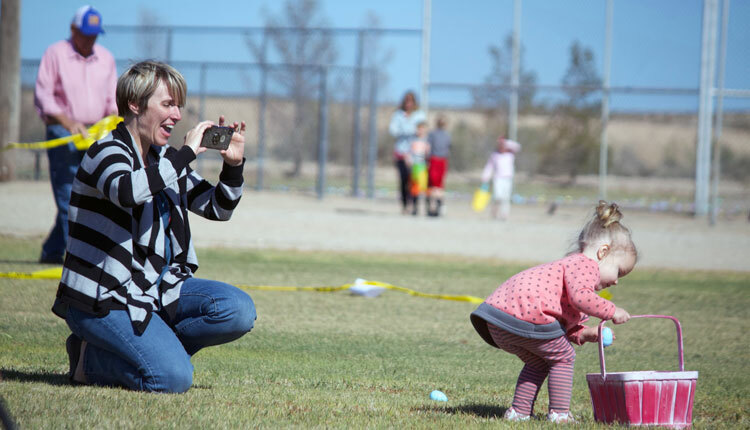 Bonnie Richardson brought her children to the event and said while the egg hunt was fun they were really looking forward to the rodeo part as well. 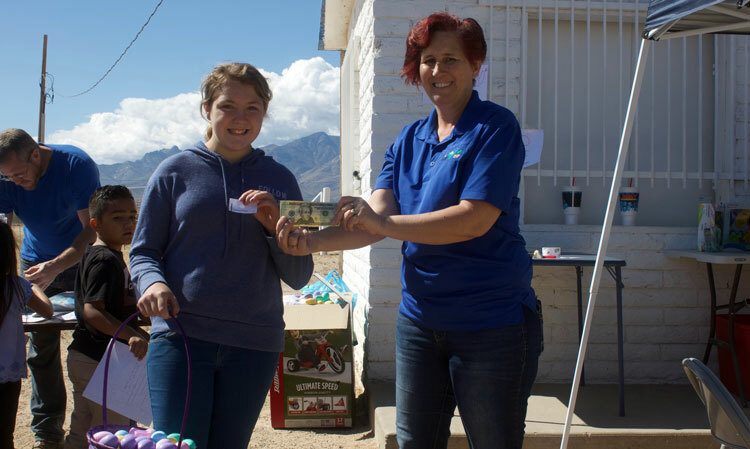 Jon Johnson Photo/Gila Herald: Ariana Kempton, 11, of Pima, receives her $20 cash prize from organizer Sherrill Teeter. Mother Jaci Payne summed up the event by praising the town for its efforts. 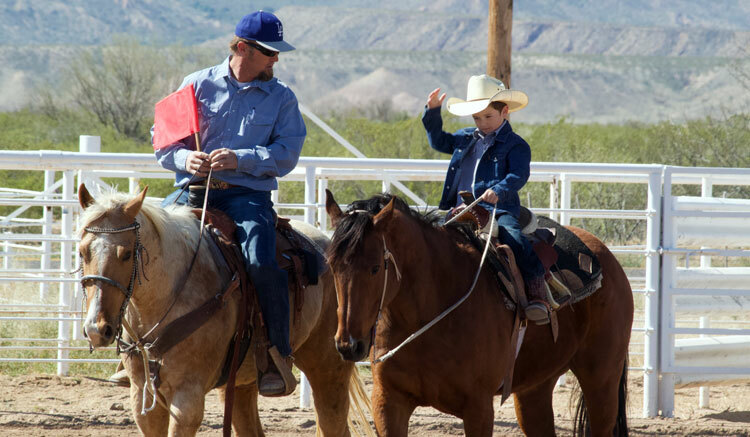 Jon Johnson Photo/Gila Herald: A couple of cowboys get in some warm-up riding before the start of the rodeo. 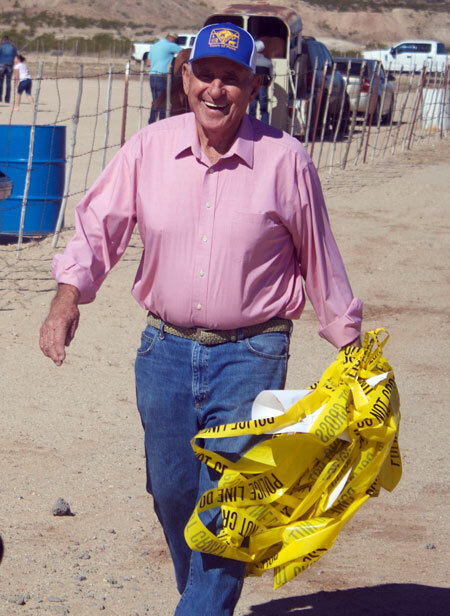 While Teeter was the main force behind the event, she said singled out Pima Police Chief Diane Cauthen and Pima Town Manager Sean Lewis for all their help and support and thanked the town employees for helping spread out the eggs the night before the event. She said seeing the smiles on the faces of delighted children is what drives her to put so much into the event. 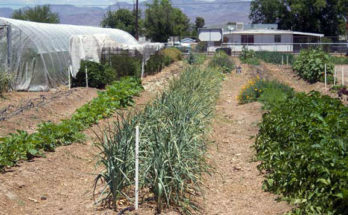 Jon Johnson Photo/Gila Herald: There were plenty of picture-taking moments at the event. Rebecca Johnson captures her daughter Dahlia, 2, picking up Easter eggs for the first time. 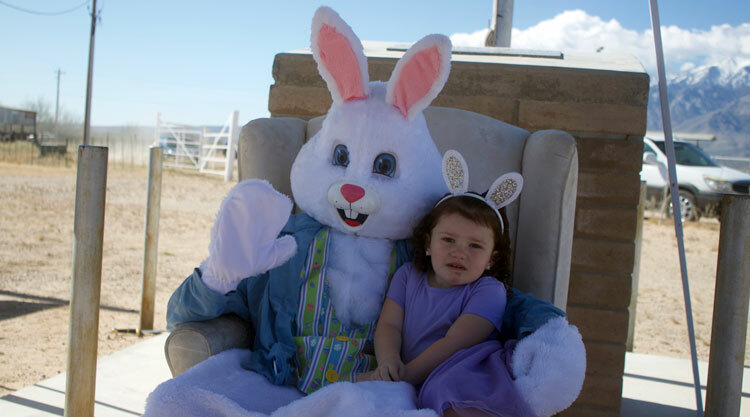 Jon Johnson Photo/Gila Herald: Sofia Tucker, 3, of Pima, gets cuddly with the Easter Bunny.